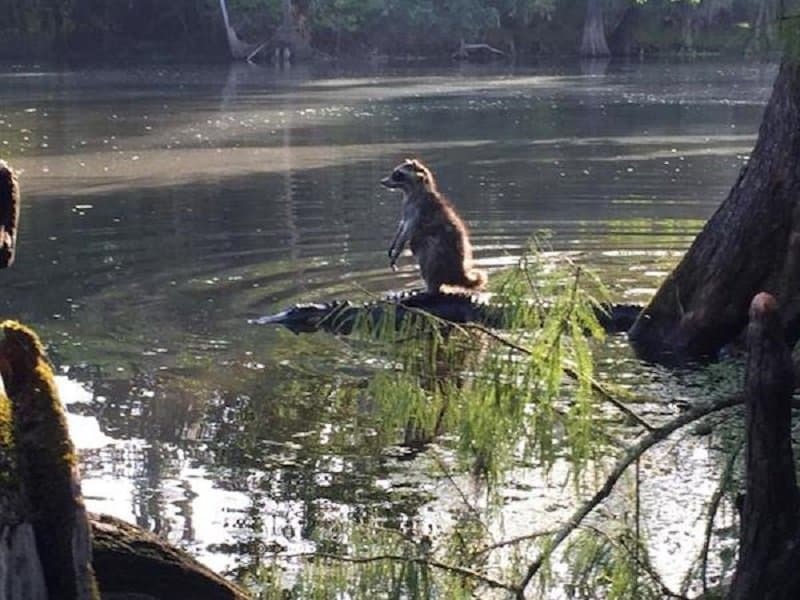 This must be the ‘Rocket Racoon’ from ‘Guardians Of The Galaxy’. That is the only explanation for such a gutsy move. Natural enemies you say? 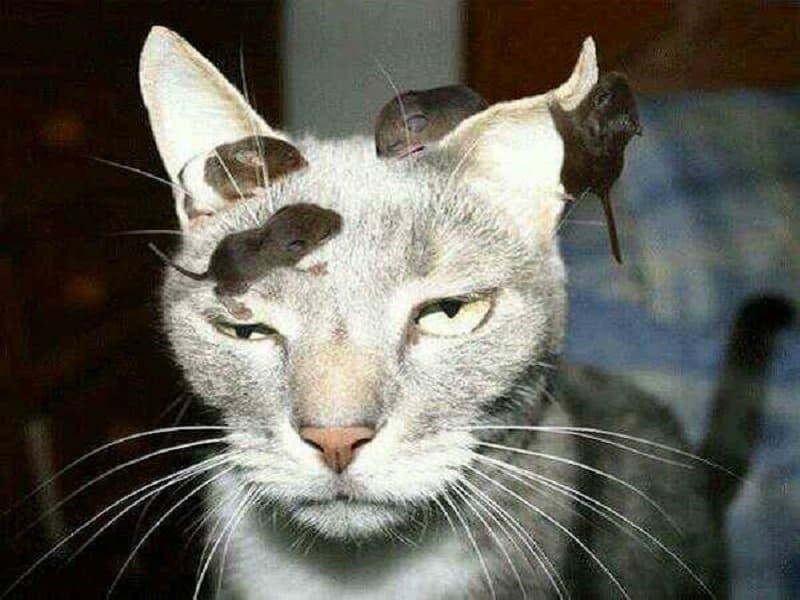 Looks like this cat doesn’t really care about the natural order of things, even when one of the baby mice is closing its eyelid. 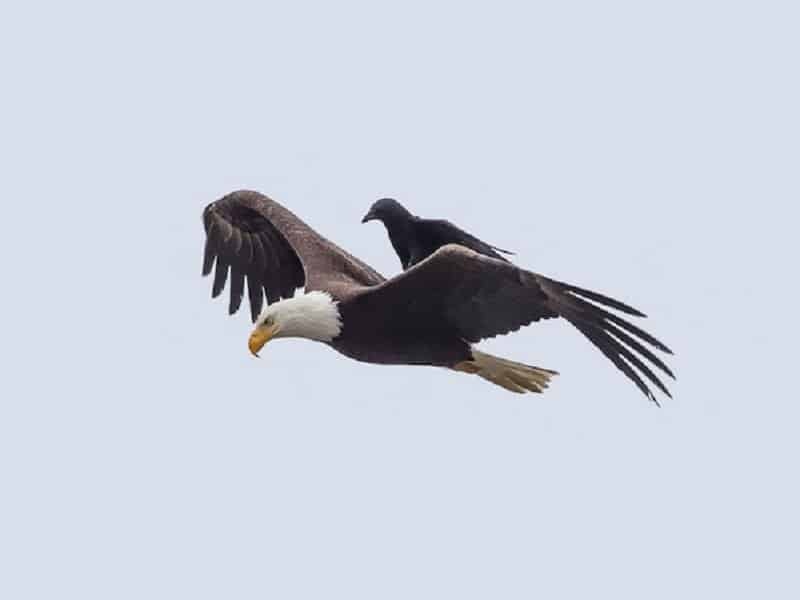 Why fly when you can hitch a ride on a majestic bald eagle! The bald eagle might be a glorious bird, but the crow is clearly quite smart and an excellent negotiator. 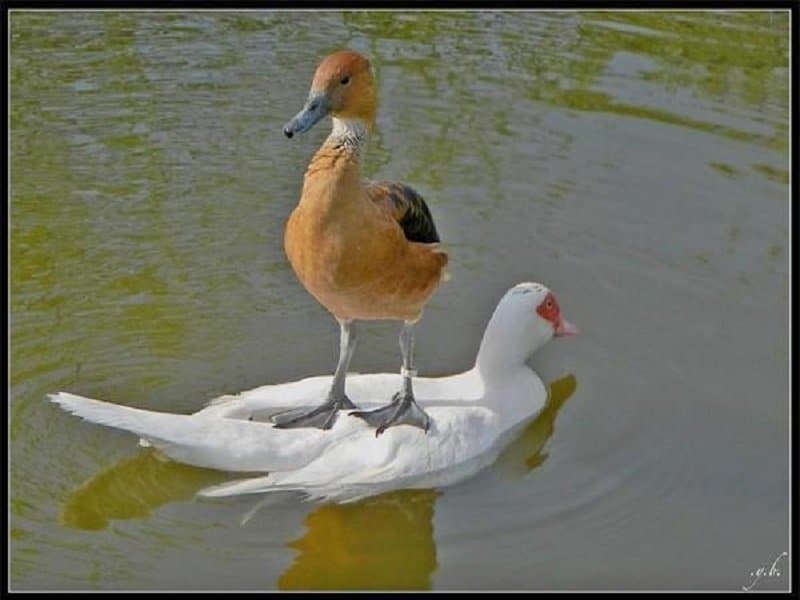 Is this duck afraid of the water? Or is it afraid of flying? 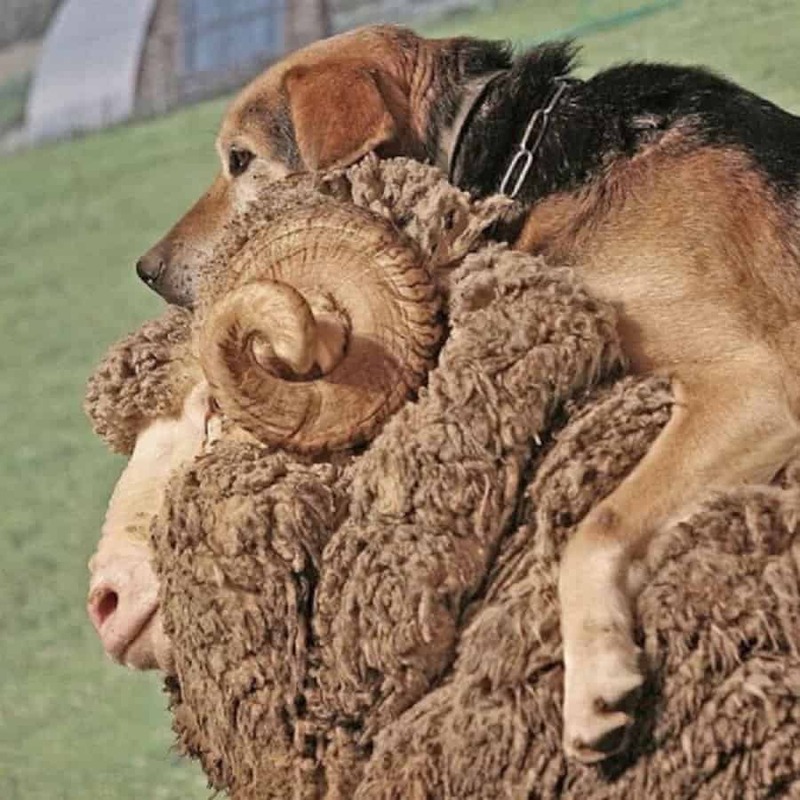 Either way, it looks like it is stalling on a decision by riding on his buddy. 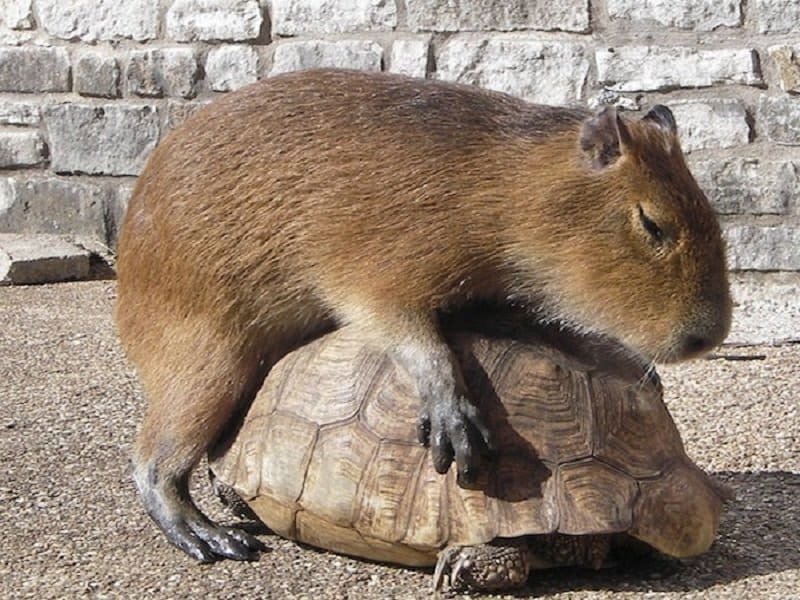 What is this capybara thinking? Sure, this picture looks hilarious, but it also looks quite unnatural. 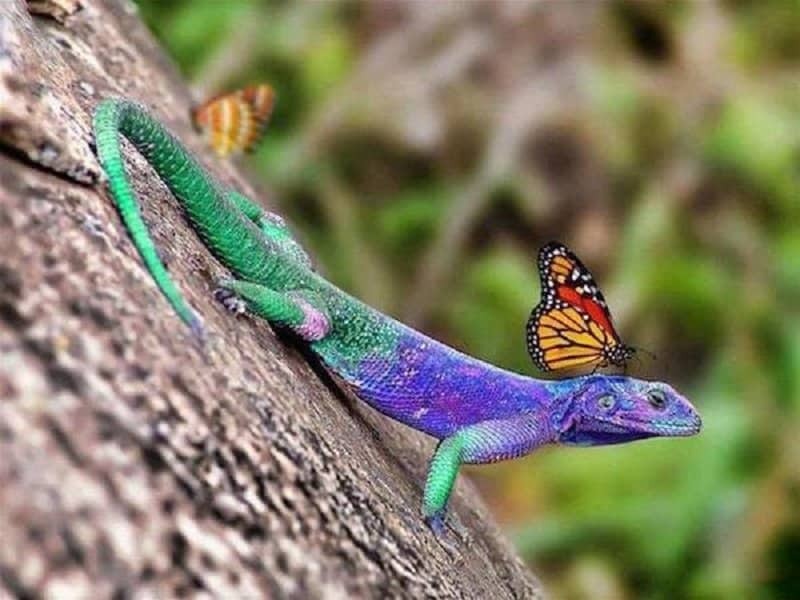 Is this a confused attempt at mating? When you can float like a butterfly, you can pretty much ride whatever or whomever you want! 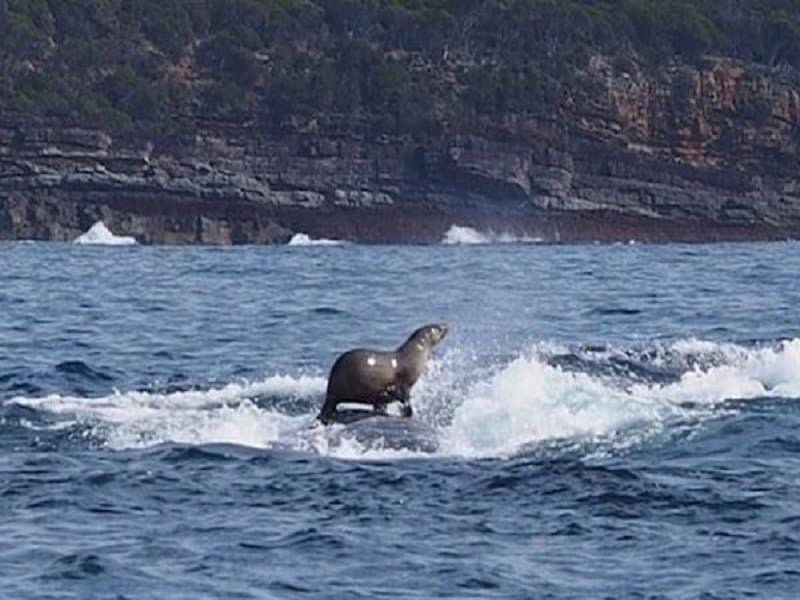 This seal is the most gutsy surfer in the world. 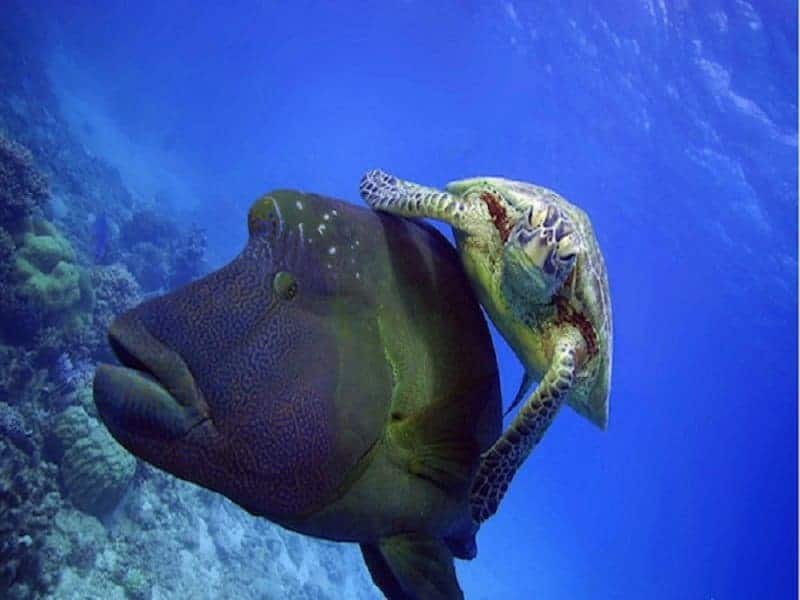 It is riding atop one of the largest predators in the world, but it clearly knows what its doing. This has got to be the strangest pair on this entire list! 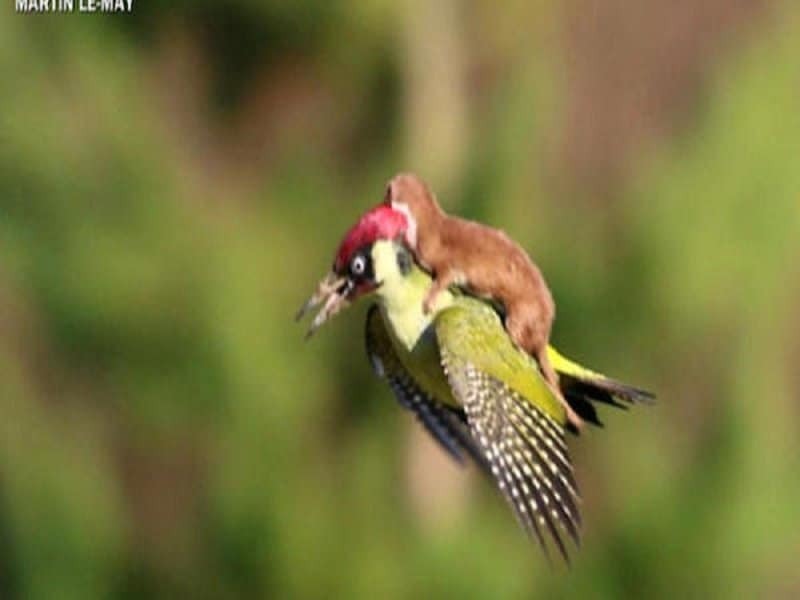 How did a weasel, a rodent that pretty much spends most of its life on the ground, get on top of a woodpecker! And why is this woodpecker not freaking out more than just flashing a shocked expression? Answers only mother nature has and it looks like she is playing her cards close to her chest.